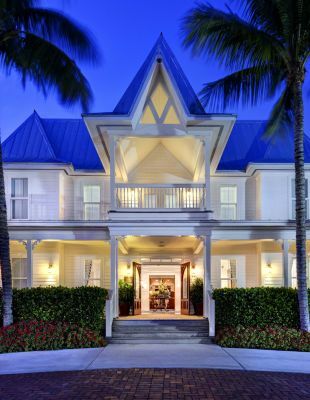 These charming Florida Keys vacation homes offer two-level living ideal for up to six people. Step out the french doors onto the porch or balcony of our Marathon, FL vacation rentals and enjoy the balmy Florida breeze and views of the Gulf of Mexico. 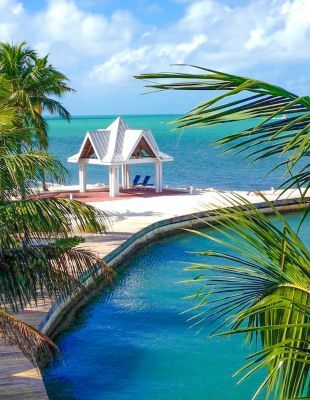 Our beach houses are fully equipped and ready to make you feel at home in our luxury Florida Keys resort. A bit closer to the water, this three-bedroom waterfront beach house is located in a quiet area of the property a short distance from both the pool and the beach. Enjoy water views from the first floor porch off the living area and second floor balcony off the master bedroom. * Please note: Tranquility Bay is a property-wide smoke-free resort.